Log_M_12: The M.A.N.T.I.S. corporation has created some of their first AI spaceships. 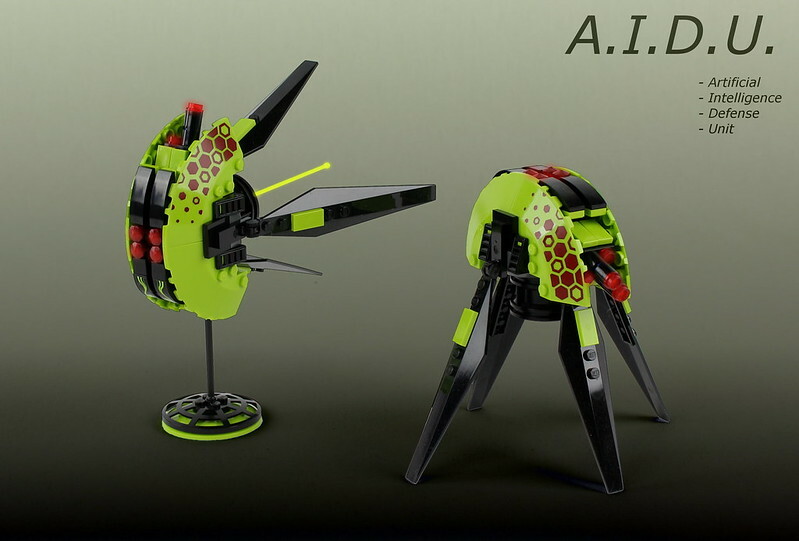 Collectively, these are officially called the Artificial Intelligence Defense Unit (A.I.D.U.). The goal of these spaceships is to provide defense and surveillance to occupied planets. Hopefully, if all goes well with these prototypes, more agents can be sent to unoccupied planets, rather than having to stay put and have surveillance duty. Nice, I like that it looks good in both spaceship and land mode. Well thought out! Plus nice to see some Mantis builds!